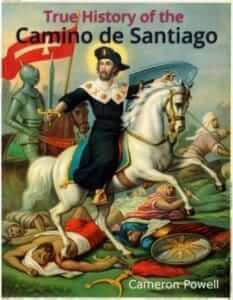 Original True History book cover. This book once had its own website! Well. Still does, but the pictures all disappeared in some hosting company atrocity and now it’s just sad. outgoing than I was in the years before she died, when I was geographically isolated from close friends, sad, and sometimes depressed. Now, why would that be? Did I get even more depressed after she died? Incapacitated, crippled, with grief? Well, no. I am enormously productive. Also unlike a depressed person, or someone disabled with grief, I am highly motivated. At least about certain things. Exercise has a harder time competing with my focus than at any time in my life. The work of finding a salary, or any kind of near-term income, has often wrestled for my attention. Taxes will once again be last-minute, at the final October deadline. Maybe. I’ve been finding seemingly inexhaustible reservoirs of motivation and perseverance. 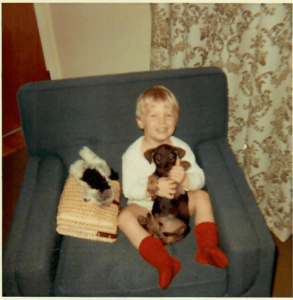 Before my mother’s death, I had co-founded and worked part-time for a little differential diagnosis startup called Physician Cognition. For a year and a half afterward I worked way more than full-time for it, and then I spent waaaaay longer writing Ordinary Magic than I had predicted when I began, in August 2016. Making this poor prediction was probably a good thing. Maybe something on forgiveness, from our often misguided ideas about it, and whence they came, to how we can facilitate it. I don’t know. It grabbed me about two weeks ago. Not since. A series of articles on misdiagnosis, such as, What You Don’t Know About Misdiagnosis Could Kill You – Get this Checklist to Protect Yourself”. Would that be of interest to you? A book on unearthing and articulating your own story, particularly for career-seekers, interviewees and -ors, entrepreneurs. This already has a lot of work done. May name it after one of my existing brands, the coaching website High Performance Story. True History of the Camino de Santiago – maybe eight people know I wrote another book after the Camino, an irreverent and satirical short story (some would say novelette) about the legend of the Camino – and about the stories we tell ourselves. Mom thought it was hilarious, so there’s that. I’ll soon make it available for free, as an ebook only, on Amazon and other retailers. [Edit: here it is!] If you should get a copy from one of these sites and you like the book more than you are offended by it, or you at least learned something (guaranteed), please give it a raving review [Edit: based on what I’ve learned about readers, any review, literally, is helpful, even a two-star]. Why make it free? 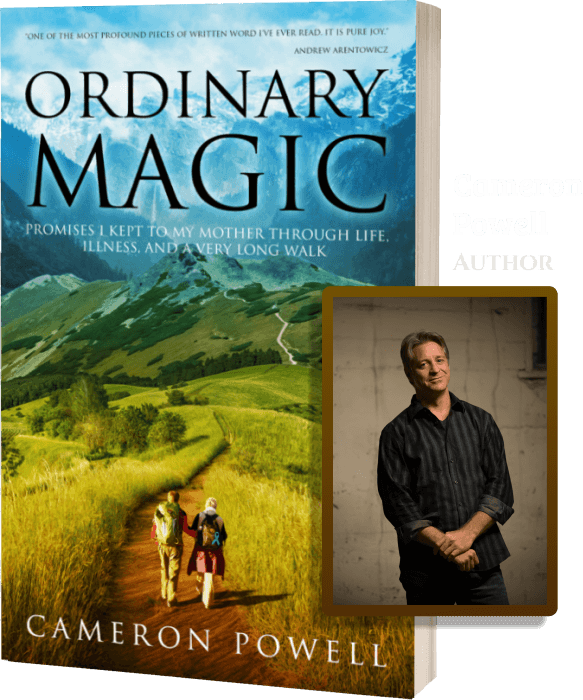 Mostly so that there’s no barrier to people reading it, because inside it they will see calls to sign up for my newsletter, follow me on Twitter, and buy Ordinary Magic. This is an idea I probably first got from Nick Stephenson, one of a handful of indie writers turned book marketing gurus with a strong indie-author focus. I recommend his training. It’s useful, reasonably priced, and done by Nick himself, who will strike you as honest and earnest and driven, I suspect, by a love of helping people. That’s it for now. I’d like to hear from you! If you have any questions or comments about any of the journey I’ve written about, or this new road of whatever comes after this book, or how I’m putting together the marketing plan that’s easily copyable to your own businesses, please comment in the margins. Probably a dozen other people are wondering the same thing . . .